Teachers across the country are being priced out of local housing markets by low pay, according to a new analysis of 124 of America’s largest districts by the National Council on Teacher Quality. In 80 percent of the districts analyzed, a teacher with a master’s degree and five years of experience cannot comfortably afford a mortgage. Even in districts where down payments are affordable, most teachers would have to devote more than 30 percent of their income to mortgage payments. In some places, monthly payments may be as high as 50 percent or more of teachers’ incomes, even after the increases from an advanced degree and five years of experience. More than a quarter of new teachers cannot afford to rent one-bedroom apartments where they work. For 28 percent of first-year teachers, the median rent for a one-bedroom apartment in their district is more than 30 percent of their salary. In the 10 most expensive districts, teachers in their third year would still have to pay more than 30 percent of their income in rent for a one-bedroom. 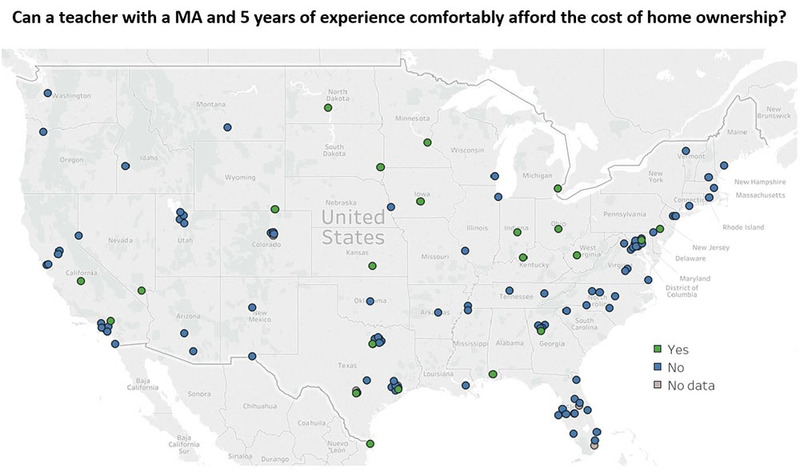 In seven districts, a teacher with five years of experience and a master’s degree cannot comfortably afford a one-bedroom apartment. Five of those districts are in the Northeast and West: New York City; Washington, D.C.; Oakland, California; Portland, Oregon; and San Francisco. The other two are Hawaii and Nashville. 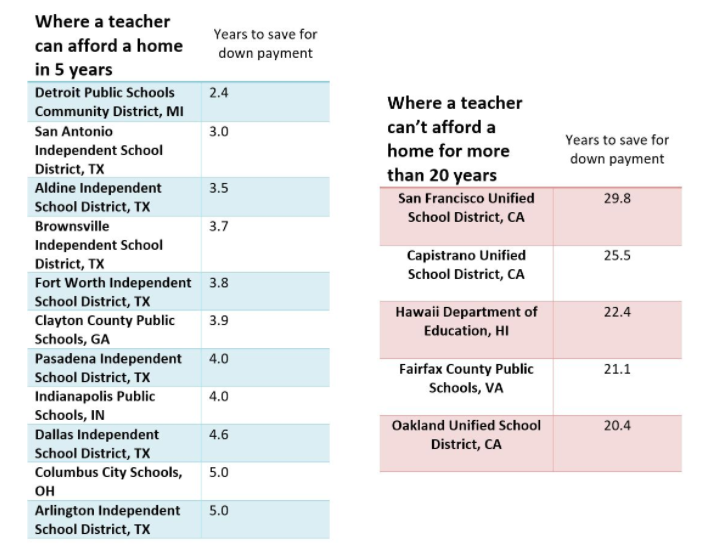 Teachers must save for an average of 10 years to make a reasonable down payment on a house, though the time varies wildly from district to district. Teachers in Detroit can save for a home the fastest, in 2.4 years. In 11 districts, teachers can make a 20 percent down payment within five years if they save 10 percent of their salary annually. Almost all the districts studied in the Midwest and the South pay teachers enough to save for a down payment within 10 years. The West and Northeast are least affordable for buying a home on a teacher’s salary. The worst is San Francisco, where it would take a single teacher nearly 30 years to save for a down payment. Even teacher couples have a hard time there: Two teachers with five years’ experience and master’s degrees “cannot comfortably afford” a mortgage and monthly homeowner costs in San Francisco, according to the analysis.  Some districts have begun working to make housing affordable for educators. In San Francisco, city and school officials have committed land and $44 million for teacher housing complexes, the San Francisco Chronicle reported. Indianapolis has similar plans, according to Chalkbeat. Generally, district leaders and other officials hope stable, reasonably priced housing options will attract talented teachers and reduce turnover. The analysis used teacher pay from the National Center for Teacher Quality’s Teacher Contract Database, median rent prices from Zillow, and median home prices from the American Community Survey.